I just received my September Glossybox (which I'll unveil pretty soon) and I've gotta say, this month's box is pretty fantastic. Curated by Harper's BAZAAR, one of the items in this box is a Obsessive Compulsive Cosmetics Lip Tar. Each September box contains either Black Dahlia or Authetic. Black Dahlia (Matte) is on the left, Authentic (Metallic) is on the right. Black Dahlia is my favorite of the two, it's an inky wine color that is super pigmented. Even though Black Dahlia is designated as matte, it looks quite glossy out of the tube unless you blot it down and leaves a wine-red stain behind. I wasn't sure about Authentic at first glance, but once I applied it on my lips I found it wasn't as frosty as I had feared and that it really was a nice dark peach color. In this pic, I'm wearing Black Dahlia (unblotted). I've reviewed OCC Lip Tars before, but let me just recap; they are highly pigmented, slightly minty, slick liquid pigments that mix really easily for custom colors. Once you try one, you'll be hooked and have a Gotta Catch 'em All mentality (or wait, is that just me?). Unveiling of the full September Glossybox coming soon! In the meantime, there are some pretty great GWP codes if you're going to pick up a Glossybox this month. 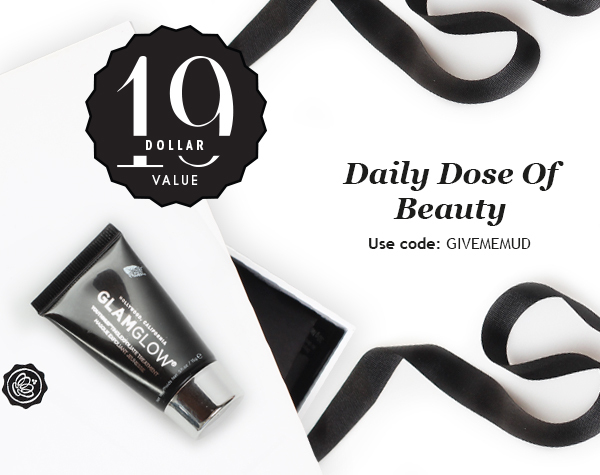 Tomorrow, Wednesday from 12 to 4pm EST, use GIVEMEMUD at checkout for GLAMGLOW's YOUTHMUD TINGLEXFOLIATE TREATMENT worth $19. 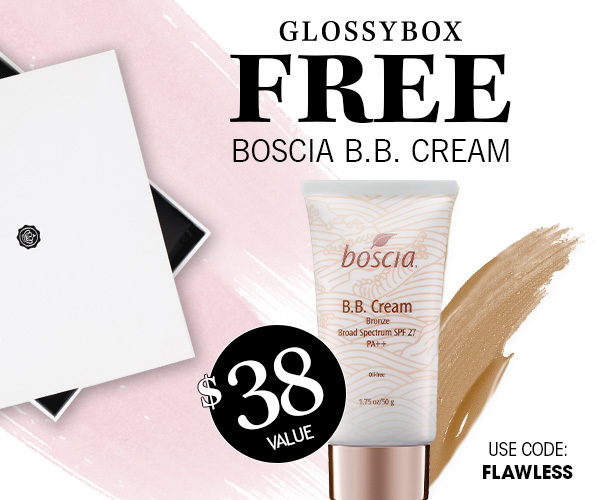 Or use FLAWLESS to get a full sized Boscia B.B. Cream in Bronze. It's really great for mixing into your foundation when you get tan in the summer or as a very natural, subtle contour like I'm wearing in the above pictures. Click here to order your September's Glossybox. What's your favorite OCC Lip Tar shade?